For the past decade-plus, Lucid have reigned as the kings of Plattsburgh's music scene. Their royalty is a slightly dubious distinction, in that they hold court over a rather small kingdom. Nonetheless, they've been the Lake City's most actively touring and popular band for a long time (at some points perhaps the only actively touring group in town). But as the old chestnut goes, all good things must come to an end. And Lucid are nearing the finish line. The band has a handful of shows in the coming weeks, after which it will go on indefinite hiatus. Released in May last year, Dirt figures to be Lucid's final recording. It's unknown whether the band knew it might be their last one when they recorded it. Either way, an air of nostalgia about the record makes it a fittingly fond farewell. Though popular on their home turf in upstate New York, Lucid never quite gained the same following here in Vermont. That's a little surprising, given that their groovy fusion of rock, reggae, jazz and roots would seem tailor-made for the jam-friendly environs of Burlington. And Dirt is a terrific example of what Vermont audiences may have overlooked. "Cuerpo" opens the record with a pleasantly breezy electric-guitar riff. Soon, drums and rippling piano merge with clean-toned runs, and Lucid settle into an agreeable mid-tempo groove. A throwback aesthetic about the track recalls mid-1990s-era Phish. That's especially true in keyboardist Andy Deller's bouyant keystrokes, which give the tune a decidedly sunny feel. "Black Smoke" ratchets up the intensity, propelled by drummer Chris "Hollywood" English's skittering backbeat. Over this, Jamie Armstrong uncorks a series of slyly funky sax lines that flutter around Lowell Wurster's hand percussion. One of Lucid's secret weapons has always been their inclination toward jazz. Where some bands merely pay lip service to the genre, Lucid indulge theirs with genuine musicality. That's probably one reason that the late, great trombonist Rick Davies appears a few times on the record. He lent his chops to the cut "Whoa Mama" and arranged that song's horn parts, as well as those on "Psychedelic Circus." Lucid tend to write collectively and share lead-vocal duties. No individual songwriting or vocal credits are given on Dirt. But they're hardly necessary. Perhaps because they've performed together for so long, the band members' individual writing styles are compatible. Even the most offbeat offerings, such as the goofy "People" and the doo-wop-tinged reggae cut "Simmer on Down," tend to complement more straight-faced fare, such as the epically dramatic "Blessed and Cursed," the bluesy "Break a Man" and closer "Whoa Mama." As has been their wont for more than 10 years, Lucid present a stylistic grab bag throughout Dirt. They also display a breezy charm that suggests they take their music seriously but take themselves decidedly less so. It's a winning formula that the North Country will likely miss when it's gone. 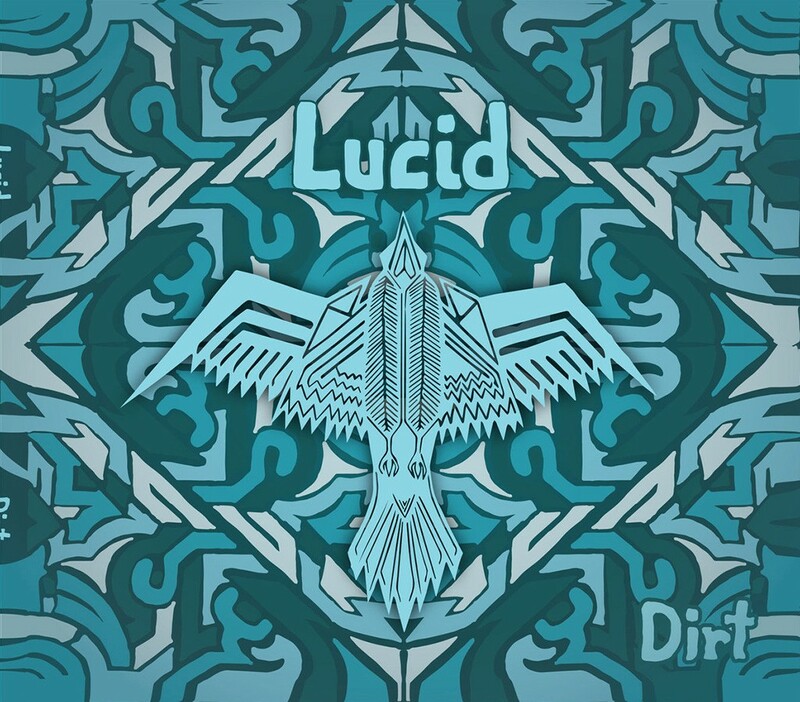 Dirt by Lucid is available at rulucid.bandcamp.com. Lucid play Nectar's in Burlington on Saturday, March 26.